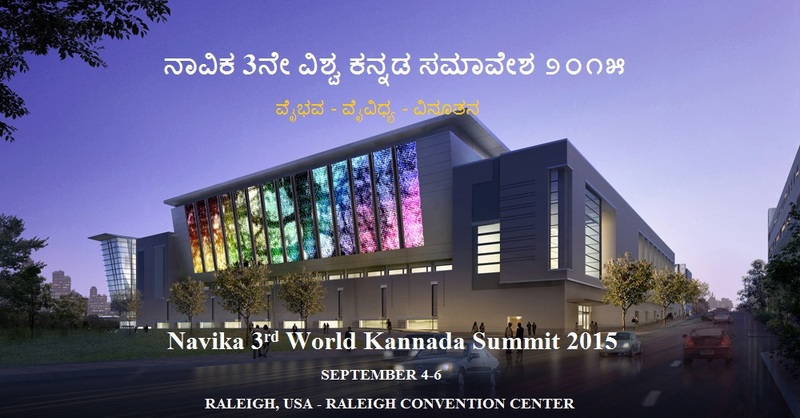 NAVIKA 3rd World Kannada Summit which is being held in the world-class architectural wonder, surrounded by fantastic hotels, performance stages and a vibrant, welcoming downtown, in Raleigh, USA during the labor-day weekend of September 4th to September 6th 2015. The Raleigh Convention Center Located at 500 South Salisbury Street, Raleigh is a convention and exhibition facility in downtown Raleigh, North Carolina. Just 20 minutes away from downtown Raleigh, Raleigh-Durham International Airport features numerous carriers offering direct service to 37 destinations. An East Coast hub, RDU offers nearly 450 daily arrivals and departures on nine major and 16 regional carriers. International flights include London and Toronto. Ground transportation is provided by the Raleigh-Durham International Airport Taxi Service, the Triangle Transit Authority and local limousine and shuttle companies. Cab fare is approximately $30. However, many hotels offer shuttle service to and from the airport.